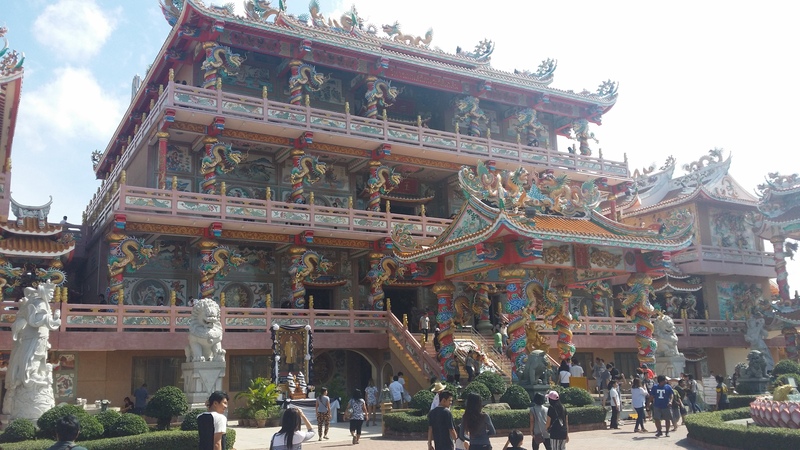 The Buddhist Chinese Temple at Ang Sila, Chonburi Province, named Wat Thep Phuttharam is one of the most beautiful buildings in Thailand, if not for it’s size, for the eye candy of colour. As with visiting many of the temples in Thailand, appropriate dress should be worn when visiting, though Wat Thep Phuttharam seems to be a little less strict on this compared with some. The over abundance of spectacular decoration outside and within the temple is nothing short of over whelming. The painstakingly painted murals that adorn the walls are of extremely high detail, with gold used in abundance. 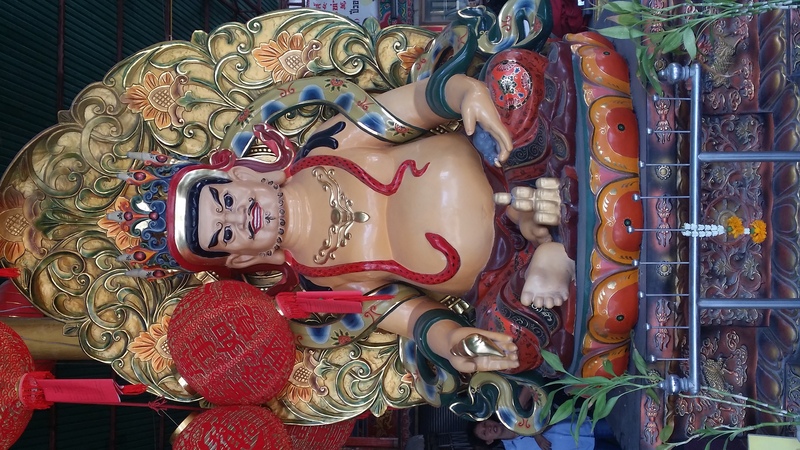 Each of the floors within the main chedi, have specific objects for worship, mostly specific to the Chinese culture, but all reflecting Bhuddist traditions. Each level has large balconies, which you are allowed to take photos from, but respect the requests not to take many photos within the main building. 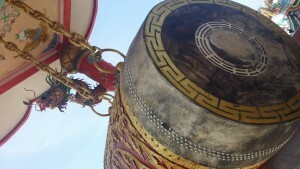 There is a large symbolic drum on the left side of the main building, which people are invited to strike the canvas front 3 times for good luck. Hearing it resonate throughout the grounds really adds to the overall atmosphere at the site. From the top floor of the main building, you can catch glimpses of the ocean, which is only a couple of kilometers away. 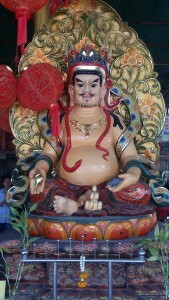 Wat Thep Phuttharam is about 10 km from Chonburi and about 40 km from Pattaya. In March 1991 the teacher Somchai Choesiri established a small shrine at this place on an area of 200 square wa (800 m²). The shrine became very popular to the local population as well as businessmen, so on July 18 1995 Somchai Choesiri could lay the foundation stone for the new building, in order to finish it for the celebration of the 72th birthday of HM the King in 1999. On January 11 1998 the Supreme Patriarch presided over a ceremony of casting 7 Buddha images and bestowed the name Wihan Thep Sathit Phra Kitti Chaloem to the temple. 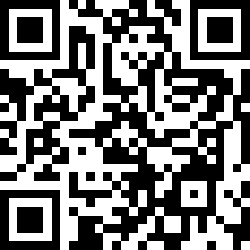 The whole site now covers 13 rai (2 ha). Food is available onsite, and in the soi’s surrounding the site. Expect it to be extremely busy in high season, with bus loads of tourists arriving all the time.